The project involved a new car, truck sales and rental facility. 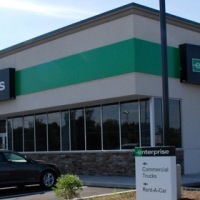 A new structure of 10,000 square feet and an exterior area for parking as well as sales area was designed to meet the stringent requirements of Enterprise. The exterior lighting included parking lot lighting, car sales lighting, and illuminated signage to guide customers through the parking area. The pole mounted lighting utilized the latest technology in LED illumination to provide an energy efficient system that qualified for a utility rebate yet met the requirements of a commercial car dealership. A control system was designed so that every fixture can be controlled individually from a master control panel as well as remote access.